Everyone wants a straight, beautiful smile but did you know straightening your teeth can also make your teeth and gums healthier? That’s because straight teeth are much easier to clean. It’s much easier to remove plaque and food debris from teeth that aren’t rotated or out of position. Your dentists at Williamsburg Family Dentistry in Williamsburg, VA, want to share why a straighter smile is a healthier smile. If your teeth are rotated or out of position, plaque can hide in difficult access areas between your teeth. If you try to floss, you may break the floss between your teeth, leaving threads in between your teeth. You may just give up flossing entirely because your teeth are too tight. Plaque contains millions of microscopic bacteria that can colonize in between your crowded teeth, producing toxins that can destroy tooth enamel, your gums and supporting bone. Badly aligned or badly positioned teeth can lead to dental decay, gum disease and periodontal disease. These conditions can lead to tooth loss. If your teeth have spaces or gaps between them, you can also accumulate plaque between your teeth. That’s because the friction of chewing helps to natural clean your teeth. Teeth that are widely spaced apart don’t experience the friction necessary to clean in between these teeth, so you don’t get the natural self-cleansing of straighter teeth that are close together. 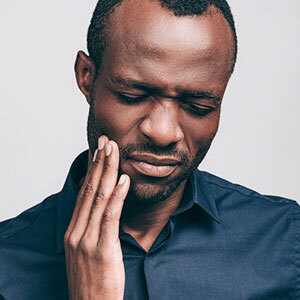 A poorly aligned bite can also cause tooth and jaw trauma resulting in TMJ pain and tooth wear. Chronic stress on teeth can lead to root canal treatment. If your teeth are worn down enough, you may eventually need dental crowns to protect them from breaking. You can protect yourself from future problems by straightening your smile. Modern orthodontic treatment is easy, quick and discreet. At Williamsburg Family Dentistry you can choose from a wide range of orthodontic treatments including ceramic braces with tooth-colored wires, conventional metal braces, lingual braces or clear aligners. A straighter smile is much healthier and more beautiful. Thanks to modern orthodontic treatments you can have a straighter smile more quickly, comfortably and easily than ever before. Find out more about which orthodontic treatments might be the best choice for you by calling your dentists at Williamsburg Family Dentistry in Williamsburg, VA. Call today!